Inspired by the original 100 Women Who Care of Toronto (who have now merged with the 100 Guys Who Care of Toronto to become the 100 Who Care Toronto) as well as many other great 100s groups, we have decided to form “Guys Who Care” of North Simcoe. 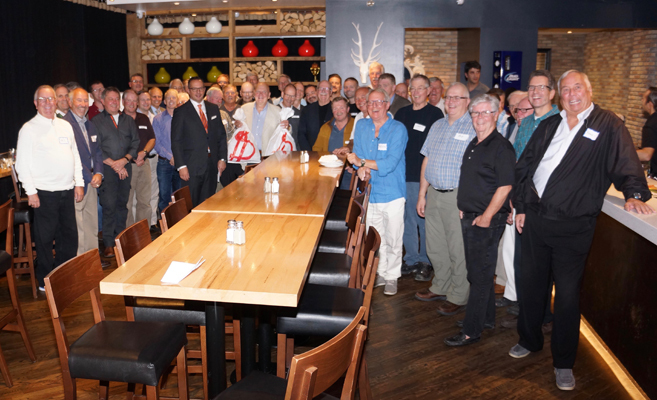 Similar to the original group, our mission is simple: bring together men in North Simcoe who care about local community causes and are committed to helping them out. Twice a year, we will meet for an hour and jointly vote for a local charity. Each guy agrees to write a $200 cheque to the selected charity making it a $15,000 or more total donation from the group. Sometimes, we have a beer during or after the meeting. If that sounds good to you, you should join us.